Sept 2nd, 2009 - I finally arrived at Arugam Bay via Pottuvil, a few kilometers to the north. Most of the tourists that make their way here are surfer types as this is reputed to be the best surfing in Sri Lanka. From what I have read it is best suited for the beginner to intermediate level crowd. Although tempted I decided not to partake. I've been surfing once in my life and spent most of my time attempting not to drown. I very much want to learn but unless I am willing to devote a few weeks to the enterprise I'd rather spend my time elsewhere. From the moment I entered Arugam Bay I realized this is not a place I'd really like to dawdle for an extended period time. The surrounding area is worth exploring but it does not rate high my Dawdle Meter. 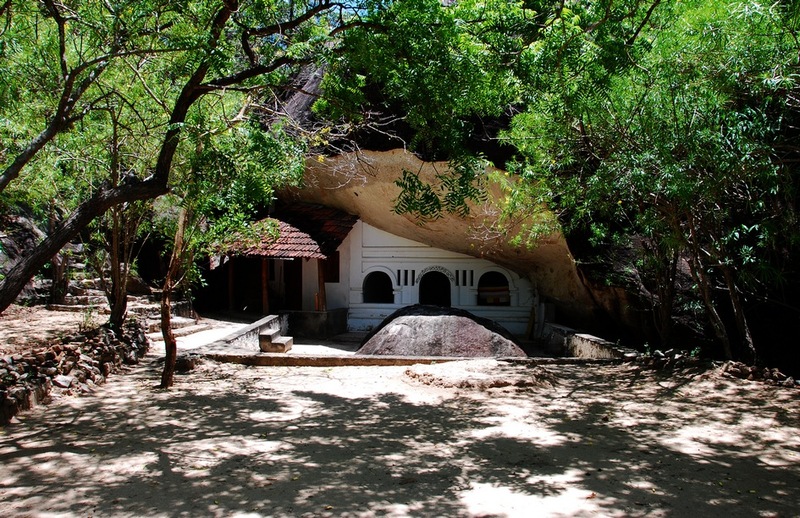 The town of Arugam Bay is nothing more than a ramshackle group of huts and hotels (more like guesthouses) along a dirt road. Pretty is a not a word that comes to mind. Actually, the place is kind of a mess but considering this was the site of some significant 2004 tsunami damage I suppose that is to be expected. It is a bit of a shame that folks were not a little more careful about how and where shops and guesthouses were resurrected but it is nice to see that the place made a comeback. The government is in the process of upgrading the roads in the area so I have a feeling the place may look very different in a few years. After inspecting a number of guesthouse/hotels I finally settled down at the Surf n' Sun. A nice place with a mellow vibe. If you have a little extra cash it is worth a look but it, like all the accommodation in the area, is a tad overpriced. In fact everything in Sri Lanka is more expensive than one might think. This is no doubt due in no small part to taxes, inflation, war, increased demand, etc. My room was about $20 US sans hot water. The restaurant was hardly a bargain as well. Too much bitching? Perhaps. Anyone been there? Tell me what you think. I do like random and the Surf n' Sun has a bit of that. One of the owners is a female from Iceland. I have not come across many Icelanders on the island but perhaps that is about to change. Since Iceland's economy completely collapsed a lot of folks from there have been looking elsewhere for a living. She has a pet owl that was bequeathed to her by a gentleman in the Sri Lankan Navy who found Woodsy on the ground beneath the nest. I cannot lie: I am bit taken with the bird. Hard not to be with such a magnificent creature. Every day Woodsy (my name not theirs) is released for a bit of yard time. She never ventures very far and, according to Mina (Ms. Iceland), she will not fly away even though she is healthy and capable of doing so. While sitting in the restaurant one evening I happened to spot a rather gigantic scorpion milling about. It was about the length of my hand. I mentioned this to some employees and they quickly put an end to its life, not the result I intended. Allegedly, they are not dangerous but they do look rather menacing. I am fine if I notice one from afar but if one were to startle me I am quite certain there would be a rather dramatic loss of bowel control and a series of little girl-like screeches. I have spent the last couple of days exploring the countryside. The day after I arrived I went for a drive and basically spent a few hours exploring random side roads, open pastures, and narrow woodland paths littered with brush (I have the scratches to show for it). 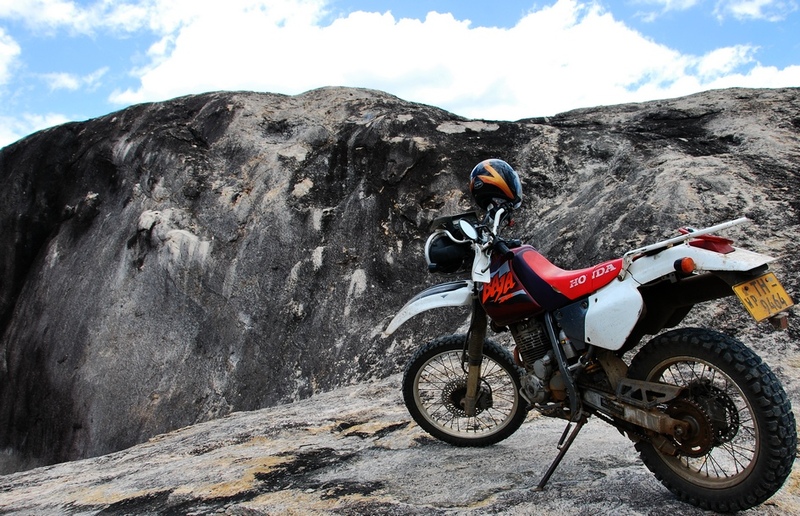 This is when having the motorcycle really pays dividends as it allows one to do a bit of exploring and get off the beaten path. I was rewarded with some fun trail riding and vast stretches of empty beaches. 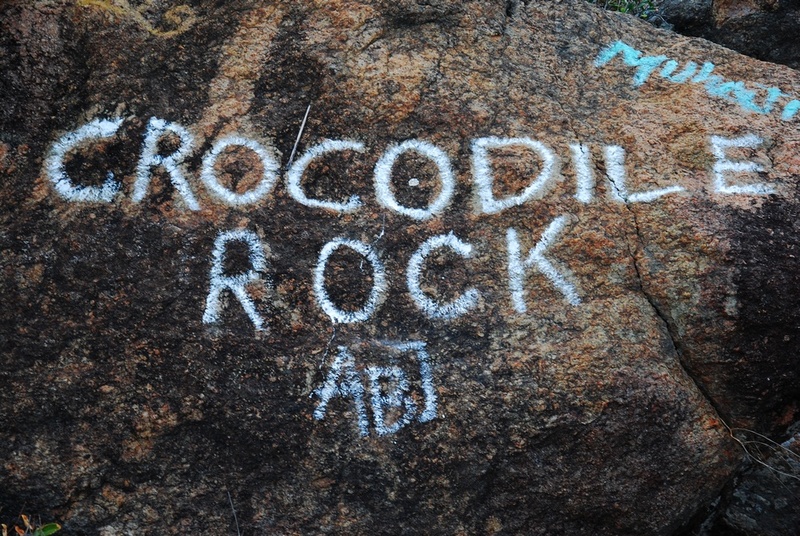 A couple nights previous I spent some time at Crocodile Rock, a series of rounded rock formations right on the beach. There is a lagoon on the other side of the beach but, disappointingly, reptiles were nowhere to be found. 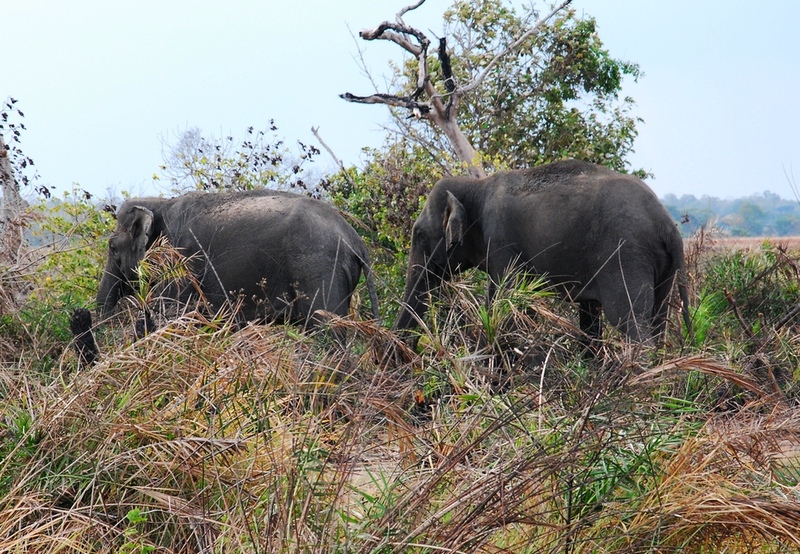 I did get to see a couple of elephants, although I probably got a bit closer than I should have. When the two were privy to my presence they quickly moved off, as opposed to trumpeting like lunatics and stomping me into the dirt. Much obliged Mr. Dumbo. The next day I drove south and made my way through the dismal town of Panama, through Kudimbigala Forest Hermitage, and on to Okanda, a place that might make you wonder if the Apocalypse is not already underway. Kudimbigala is a remarkable place. 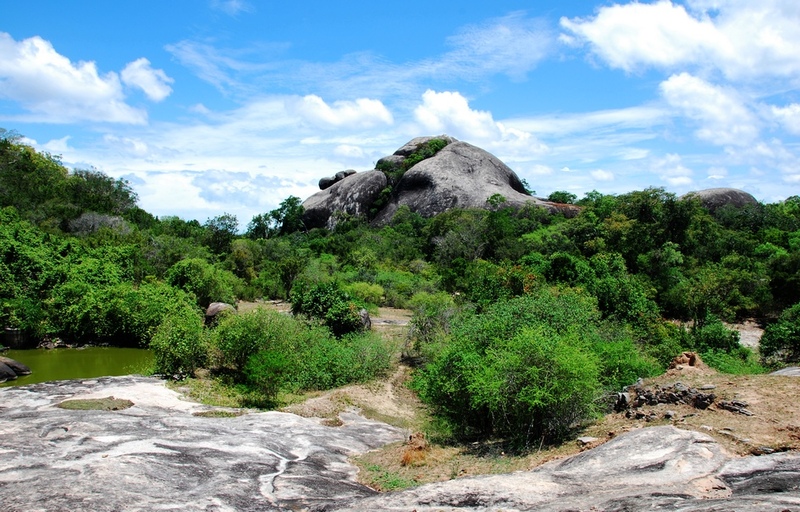 It is a 4700 hectare site of rocky outcrops, hermit lodgings (for meditation I presume), and small Buddhist shrines. 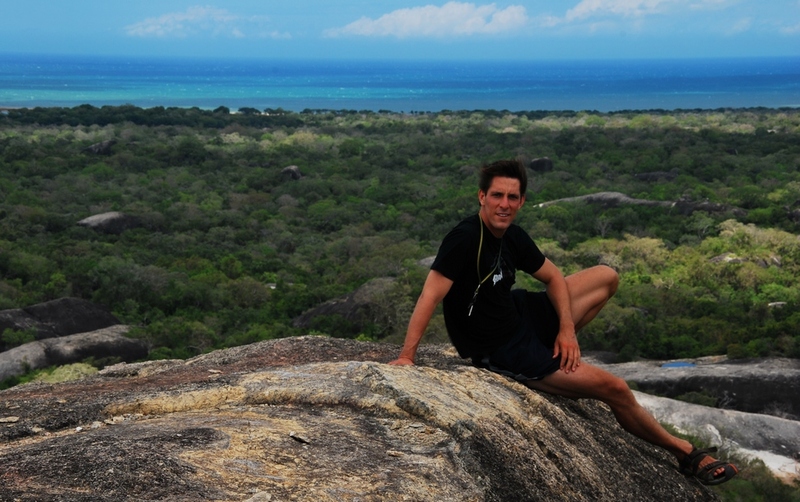 I made my way up to what I perceived to be the highest rock and spent a couple of hours taking in the scenery. At the top of this not-so-easy-to-reach high point is a small dilapidated and forlorn stupa with a small statute of Buddha encased within. I had to climb between large rocks as well as through trees and brush to reach it. There were steps leading up to an adjacent rock but not to the stupa itself. I was feeling a little bit like Indiana Jones so I went for it and was rewarded with a breathtaking scene. Once again, I found myself yearning for a companion to share this fantastic panorama but, alas, all my chums have decided to establish lives and settle down. Bastards and assholes. All of them. You know who you are. After that I ventured a bit farther on to Okanda, an apparent refuge for survivors of Armageddon. From the looks of it appears to serve as a de facto landfill. The beach nearby, surprisingly devoid of litter, bolsters the Cormac McCarthy-esque vibe. Just to punctuate the feeling there is a boat resting on the beach looking forward to a future of slow disintegration. A marvelous place but exceptionally desolate. South of Arugam Bay there is a rather significant military presence placed there, I was informed, as a security measure. While driving on the dirt road past Panama I stopped along the way to stand atop a small rock formation and see what I could see. I felt completely alone but this illusion was shattered when three Sri Lankan soldiers came out of the woods to investigate my purpose. They did not say too much. I think they were curious as to why someone had stopped. There was no check point in the immediate area so I am not exactly sure where they came from. Nothing like a little military peek-a-boo to remind one of the recent hostilities. I was subsequently stopped two more times to give my name, nationality, and passport number. It appears to be nothing more than a formality but who the hell knows. I was told once again that I could not venture farther than Okanda due to security reasons. There are two national parks in the area so perhaps they are clearing mines or people or both. I also crossed path with a few peacocks but they thwarted any attempt on my part to capture them on film. I went to these area's in July 2011, It was my first time, I fell in love with EVERYTHING to do with this place. Starting with the beaches and even the national parks. Okanda I have not been, I am hoping to go there this year... The last few pictures, with the mountains and sand dunes, may I ask where this place is and how you got there? 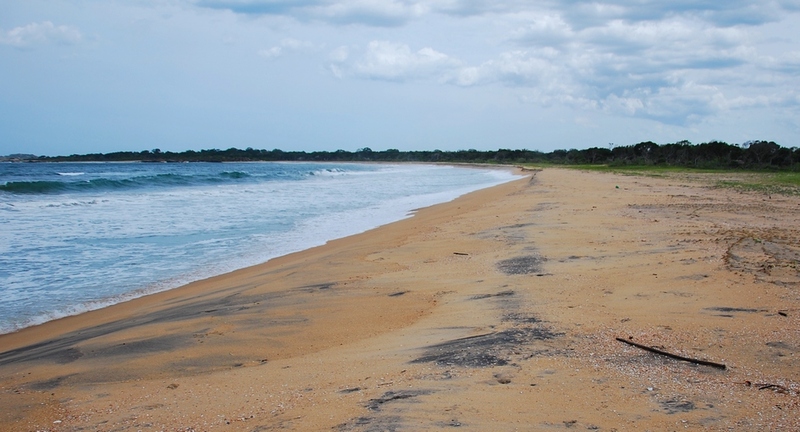 The sand dune area is the beach at Okanda and the hilly region is the Kudimbigala Forest Hermitage just northeast of Okanda. If you scroll up there is a Google map showing my approximate route. The route is straight forward. If I remember correctly there was only one way to go. I did have my own vehicle (motorcycle) so I'm not sure about public transport. I found this area to be remarkable. I am hoping it stayed that way. Let me know about your trip and if you want additional info I'd be happy to help. Cheers. 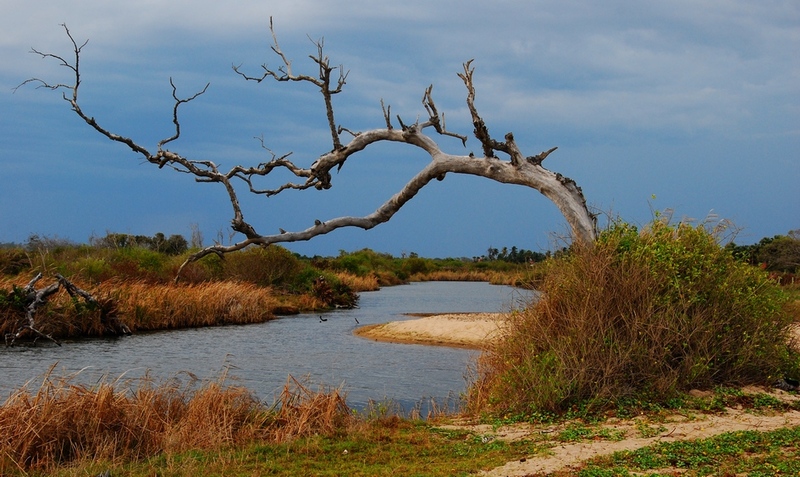 Yeah, I've checked out Yala National Park, was an amazing area, although did not have the luck to see the leopard :( Yeah I've checked out all you're post for Sri Lanka, I've made a list of places to go to this year, thanks to your list. :D Everything is well, hope everything is well with you. may I use some of these photos in my website?